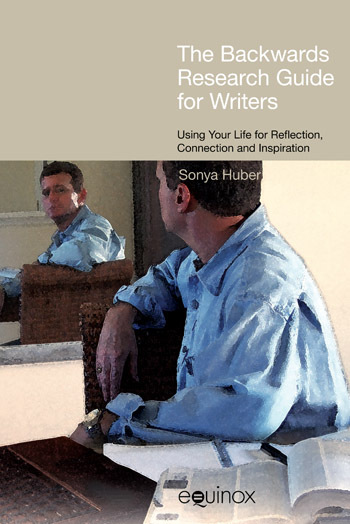 Sonya Huber is an Assistant Professor teaching creative writing and composition at Fairfield University, Connecticut (USA). Her background includes sociology/anthropology at Carleton University, an M.A. in journalism, and an M.F.A. in Creative Writing from The Ohio State University. Among her many publications in a wide variety of genres are the books Opa Nobody and Cover Me, A Health Insurance Memoir, both with the University of Nebraska Press; articles in Psychology Today, The Chronicle of Higher Education, and Sojourner; and creative writing in Literary Mama and Fourth Genre. The “Backwards” Research Guide for Writers demystifies the writing process by inviting writers of all levels to focus on their passions, questions, and obsessions as the key to generating seeds for further exploration of the world around them. Writers then develop these questions into focused projects that explore the teller’s central role in the open-ended quest of unfolding a research topic. The boom in narrative journalism, memoir, and creative nonfiction has generated wonderful writing, but no resource for writers exists to bridge the gap between passionate research and the page. 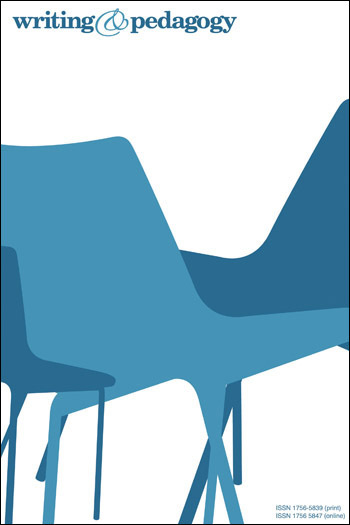 This book addresses that gap by turning the task of “research” on its head and by speaking to students who resist the idea of research as an objective and dry assignment. Students are invited to experiment creatively with collecting observations and information and then to step beyond their subjective realities to interact with the world around them and ultimately become vulnerable authors willing to change their perspectives as they research and write. 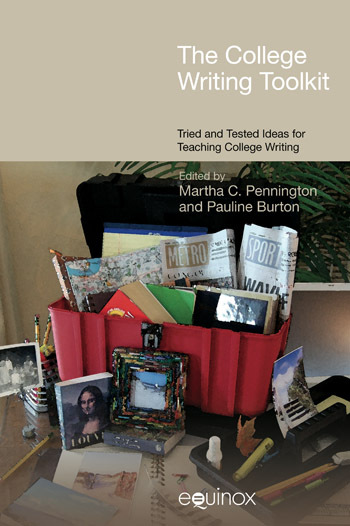 Developed with input from college student writers, The “Backwards” Research Guide for Writers is relevant as a text for undergraduate and postgraduate courses in composition, creative nonfiction, literary journalism, and feature writing as well as for working journalists and other writers seeking a new way of approaching a writing project. It includes interviews with notable authors that focus not on the completed and intimidating project of a successful author, but on the project as it took shape and mystified a researcher. Another unique feature is a section in every chapter on ethics, as ethical questions are central to the writing process as well as a method for sparking interest in writing and learning. The guide includes extensive examples of research challenges and dilemmas, strategies for planning a research project, exercises for generating ideas, a guide for writing the research-based work, an appendix of on-line databases, a section in each chapter focused on ethics in research and writing called “gray matter,” a selection of recommended readings, and a bibliography of conventional research guides. This book will not focus on the correct method for source citations, though a style guide is included in the index and the ethics and practice of quoting are covered in later chapters. Many excellent resources are available for the nuts and bolts of locating sources. Instead, this guide begins with that daunting assignment: Write about anything. Maybe an instructor has already assigned you an open-ended paper, or maybe you are a writer with a need to find a new and compelling subject. Either way, you are the beginning of this search. This guide will help you evaluate your level of curiosity, an essential ingredient for a seeker of any kind, and then point you in the direction of following that curiosity. This chapter is devoted to you. The exercises in this chapter and beyond include questions to help you generate a detailed and even surprising profile of yourself and your interests. Each activity will also require you to think about the world you live in and how you see it, which will lead to questions for research. As the researcher, you are the foundation for any research project you might complete. This chapter will focus on you as an expert. Even if you haven’t mastered arc-welding, solo mountaineering, or French cooking, you might discover that your low-key and everyday activities contain fascinating questions. Who would care, you ask, that you’re a master hedge-clipper or maybe the queen of the perfect grilled cheese sandwich? For now, let’s set the bar low and assume that if you’ve developed a skill, there’s a reason for it and it means something. As you have developed this skill, you have collected information and experiences that give you a sort of databank to draw on as you examine your life for possible research questions. Assume that your skills have meaning and that they will reveal the seeds of questions to research. All you have to do is to reflect and experiment with framing these skills in a new way. This stage can be daunting, so the next Experiment will address the moment in which a researcher confronts his or her own lack of knowledge about a subject. Research presents a problem of scale. There is so much information available, but an individual’s capacity to absorb and process it is extremely limited. Working with two eyes, two ears, two hands, and a small amount of time and energy, the researcher confronts his or her personal limits long before the ocean of information runs dry. In other words, the information always wins. The key for navigating this sea of research is to be prepared, to learn about the currents, the submerged reefs and rocks, and to combine this readiness with the ability to explore, to change course, and adapt to the unforeseen storm. When a large or small challenge arises, most people will pick up the phone or find a friend. You might dash off an email or send a text message to share the details or ask for advice. What you reach for in each of these different forms is connection through conversation. A good conversation lifts the spirit, allows you to see things from a new point of view, and makes you laugh or cry as you talk with and listen to friends in a free-flowing exchange. When you speak and a friend responds in a certain way, you feel heard; your friend gets it, understands, and an emotional connection is made. This activity and the human need for it are close to the core of life as a social being. An interview might seem very different from a relaxed conversation with a friend. Instead of an open-ended give and take, one’s responses are recorded for analysis. If you have ever had to request and conduct an interview, you might have noted that it creates anxiety. It doesn’t feel polite to ask a near-stranger about a personal experience or a professional challenge. A research project might begin and end within a few weeks, and when you are done it might be out of your life forever. Some topics, however, might have such a personal resonance or evoke such deep interest that you find yourself haunted, touched, or changed by the act of research. Maybe you begin researching a topic – tornadoes, for example. As soon as you become immersed, the topic also seems to crop up in your non-research life. You meet someone at the Laundromat whose house was destroyed by a tornado. Then the following week three tornadoes sweep across the areas where you live. You flip through a magazine in a doctor’s office and find the perfect tornado article. What is going on? In the search for a true research obsession, you are opening yourself up to change. It’s like opening a window – there’s no telling what will fly in and make itself at home. In a way, the openness of curiosity creates vulnerability, and this vulnerability begins a story with an unpredictable ending. It’s easy to write a convincing paragraph or two when you have done a little bit of research. All the facts add up, and you can confidently say that soybeans are the fuel of the future, Franklin Delano Roosevelt was the best president ever, or the painter Salvador Dali was a Surrealist. It feels good to be one hundred percent certain. In this Research Fantasy World, your confidence and expertise grow as you accumulate note cards and page numbers, you achieve a sense of clear confidence in your subject matter, and high grades appear on your papers. On the other hand, if you feel like tearing your hair out over a research project, you have moved past Research Fantasy World into Research Reality. In this version of research, you will often feel stranded at a point of utter confusion. Although it may not seem like a joyful moment, take a second to cheer, or to strike a silent victory stance if you’re in the library. If you are facing what seems like an immovable research roadblock, you have just encountered a necessary building block for a good research project. So far, the research bucket has been bottomless, and your task has been to gather as much interesting information as possible and to follow the questions that lead to still more questions. At a certain point, however, the mountain of material will overrun any container. A researcher who becomes invested in a topic and pursues its complexity might have to pull away from the chase as the deadline for a written project or presentation draws near. How do you know when to stop researching? Experienced researchers often notice that at a certain point, their sources begin to sound repetitive, each echoing themes that previous sources have brought up. For many researchers, however, a deadline or due date is the “dead end” sign at the end of most research projects. But as you speed toward the deadline, you might feel as though the wheels of your research vehicle are spinning and slipping as you attempt to stay on the road. You might have the feeling that the subject is too big to ever cover in a comprehensive way, or that you are missing the path as you switch gears from researching to reflecting and writing about what you have learned. Putting on the research brakes can feel like pure panic, but this process happens to a greater or lesser degree in every research project. You can also think of this shift as a momentary pause to check the map and see if you’re headed in the right direction – or if you’ve already reached your destination. A map of your researchin- progress can indicate possible organizational structures and connections that already exist within and among the sources you’ve gathered. First, you can use the quick methods below to see when you have left major gaps or whether you are heading exactly in the right direction. Facing a messy or confusing draft can be quite discouraging. You might look at the disconnected pieces and feel a sense of defeat, or you might worry that these threads will never connect to form a finished piece of writing. As you mature as a writer, however, you will recognize this feeling as a necessary and unavoidable step between the beginning and end of any project. The familiarity of the feeling might make it less daunting each time you experience it. This is the same type of feeling that long-distance runners experience about midway through a race, and they recognize it as a pattern. The saying, “A lotus grows from the mud,” implies that beautiful finished projects must emerge from murky places, from darkness and chaos. For many writers there is simply no way to write a finished piece without a confusing, contradictory first draft. These same writers encounter failure when they skimp and try to finish a project in one draft. Many writers who skip revision assume they cannot write well. In truth, they have not given themselves a chance to move from draft to revision to polished writing. The technology of word processing allows us for constant revision, and in some ways the idea of a draft is outmoded because many writers constantly redraft as they write by cutting, pasting, typing, and erasing. If this is your writing process, you might make the argument that it is unnecessary to print out a draft in order to revise. The true sense of the word revision is to see something from a new angle. To gain this perspective and new angle, you need to take a break, step back from your essay, clear your head, and then return to see your text with fresh eyes. Offers a very helpful perspective on the writing and research process. Recommended.